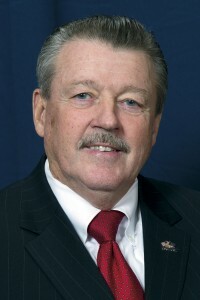 Senator Brewster serves as chairman of the Senate Law & Justice Committee and chairman of the Game & Fisheries Committee and is a member of the committees on Banking and Insurance; Transportation; and Democratic Policy. Prior to his election to the Senate, Jim was a fraud investigator with Mellon Bank and later became bank Vice President. Jim became a McKeesport City Councilman in 1995, and served as council president for seven years prior to being elected mayor in 2004. During his years as McKeesport mayor, Jim was credited for bringing $27 million in state, county and federal dollars to the city. He also helped develop the Palisades, McKee’s Point Marina and Greater Allegheny Passage Trail at the Waterfront. Jim has served as a director or board member for: the Allegheny League of Municipalities; Pennsylvania League of Cities and Municipalities; McKeesport Optimist Club; Municipal Risk Management; Allegheny County Air Quality Control; McKeesport Development Corporation; McKeesport Recreation Board; Penn State Greater Allegheny. He was appointed to the Board of Directors at Soldiers and Sailors Memorial Hall & Museum Trust, Inc., and continues as Secretary of the Board of Port Authority of Allegheny County, Vice President of the Board of Monroeville Convention and Visitors Bureau, and Chairman of the McKeesport Housing Authority and McKeesport Democratic Committee. Jim was elected to both the McKeesport Area School District Hall of Fame and McKeesport Athletic Hall of Fame in 2009. He was also honored as “Mayor of the Year” in 2010 by the Pennsylvania Mayor’s Association, and “Friend of Youth” by the McKeesport Optimist Club for founding the “Toys for Tots” program and starting a youth basketball program at the McKeesport Salvation Army. He is married to the former Linda Leah. They have three daughters and six grandchildren.